The term diagnostic vitrectomy is used to refer to biopsy of the vitreous or the uvea. In patients with a history of cancer, there is a low clinical threshold for diagnostic vitrectomy as vitritis can represent recurrence of lymphoma or leukemia or an opportunistic infection. 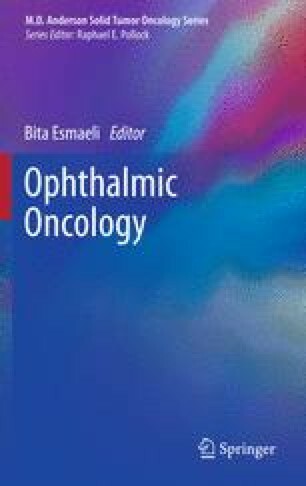 The most common clinical scenarios in which diagnostic vitrectomy is performed in cancer patients are new-onset vitreous cellularity in a patient with lymphoma in remission or newly diagnosed lymphoma; vitritis in a patient with recent bone marrow transplantation; atypical retinitis or choroiditis; and atypical iris, ciliary body, or choroidal lesions. In addition, choroidal biopsy is sometimes done to obtain material for cytogenetic studies in patients with uveal melanoma. Vitreous biopsy can be performed successfully with either a two-port or three-port approach; specifics of the technique depend on the vitrector gauge. Uveal biopsy can be performed with fine-needle aspiration biopsy or with transretinal choroidal biopsy with a sutureless vitrectomy system, an approach that is gaining favor. Collaboration and good communication between the ophthalmologist and a pathologist well versed in the handling and analysis of vitreous samples are essential for successful diagnostic vitrectomy.